Cardinal Turkson will deliver a keynote address focusing on his role as Prefect of the Dicastery for Promoting Integral Human Development within the Roman Curia. The Dicastery is in effect a department to promote the care of vulnerable and marginalised people. 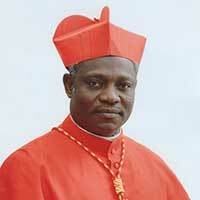 The Ghanaian Cardinal will also reflect on his work with Pope Francis. 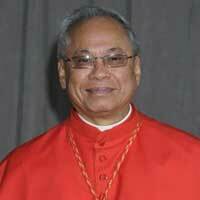 Cardinal Quevedo will describe the pastoral models of care for migrants and refugees in our communities. He will also join a panel discussion about the pastoral care of migrants in a multi-ethnic church and whether one size fits all. ‘Cast Into the Deep’ is the theme of the Conference highlighted by Pope Francis’ call to go out to the margins of society and “cast into the deep” (Luke 5:4). Fr Maurizio Pettena, Director of the Australian Catholic Migrant and Refugee Office said, “The dignity of the human person is central to our work as a Church agency. I hope that this conference will put the pastoral care of migrants and refugees firmly on the political agenda here in Australia. Over the two-day event, there will be many opportunities for debate with key stakeholders about the best way forward on this issue”. The Conference provides an opportunity for delegates to reflect on the vital issue about how we treat people moving between countries. 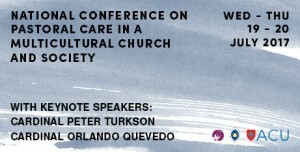 It will be of particular interest to overseas clergy, religious, migrant chaplains and those who work in the area of pastoral care within migrant communities. A multi-cultural Mass and the launch of the annual migrant and refugee parish kit will be other highlights during the two-day conference. All those who are passionate about our migrant communities are warmly invited to attend the Conference.